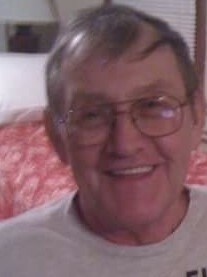 Darrell Gates Rucker, 74, of Mount Holly, NC, passed away peacefully in the comfort of his own home surrounded by his family on September 1, 2018. Darrell is survived by his wife Janice, of 38 years, daughter Miranda (Cody) Havens, sisters, Wanda Rucker and Marie (Doug) Huddleston, granddaughter, Isabella Havens, and many loving nieces, nephews, and extended family. Darrell was a loving father, husband, grandfather, and friend to everyone. Darrell loved sports, especially football, and the outdoors. He spent his free time watching various sports games on TV, planning his yearly hunt with BITWA, gardening, and building bird houses. Darrell was always there to help friends and family with whatever they needed. A visitation will be held on Wednesday, September 5, 2018 from 6:00 – 8:00 P.M. at Benson Funeral & Cremation Services, Mount Holly.